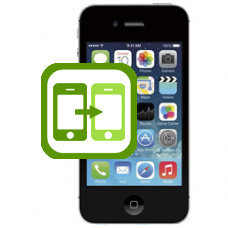 iPhone 4 gold conversion service, we are proud to present our iPhone 4 gold conversion. Are you bored with the original iPhone colour? Make a statement, be one of only a select few that have the iPhone 4 in luxurious 18ct gold which will truly make you stand out from the crowd. The replacement part is an original official iPhone 4 centre frame that has been struck with .999 hardened 18 carat gold giving a hard wearing gold finish before being thermally sealed. Our expert technicians will replace the centre frame, silent button, mute button, power button, sim tray and the two lower case screws for luxury gold replacement parts to give your iPhone a stylish and exclusive finish. * Our normal repair turnaround times are 3 - 5 working days. We always aim to complete repairs as fast as possible. This is an in-house Apple iPhone 4 repair service, when ordering this service you are required to ship your iPhone into our repair centre for works to be undertaken.